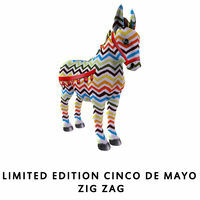 On May 1, 2013 Amaretto surprised the breeding community, with this set of 2013 Limited Edition Cinco de Mayo Donkeys! 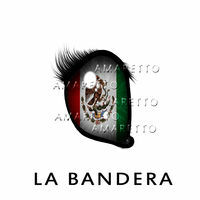 These Limited Editions were on sale until May 8,2013. 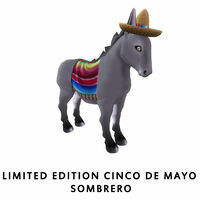 In true Amaretto fashion we added a twist by breeding any of these Limited Edition Cinco de Mayo Donkeys with a any Amaretto breedable horse, you have a chance at a never before seen Mule. 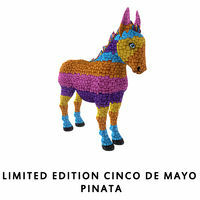 Limited Edition Cinco de Mayo Donkeys also have the ability to pass you some other hidden surprises! The coats on these Limited Edition Horses do NOT pass. The Eyes on these Limited Edition Horses do NOT pass. 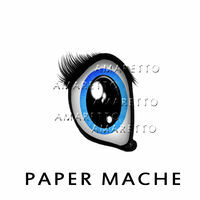 This page was last edited on 11 May 2013, at 22:39.